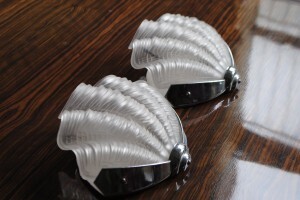 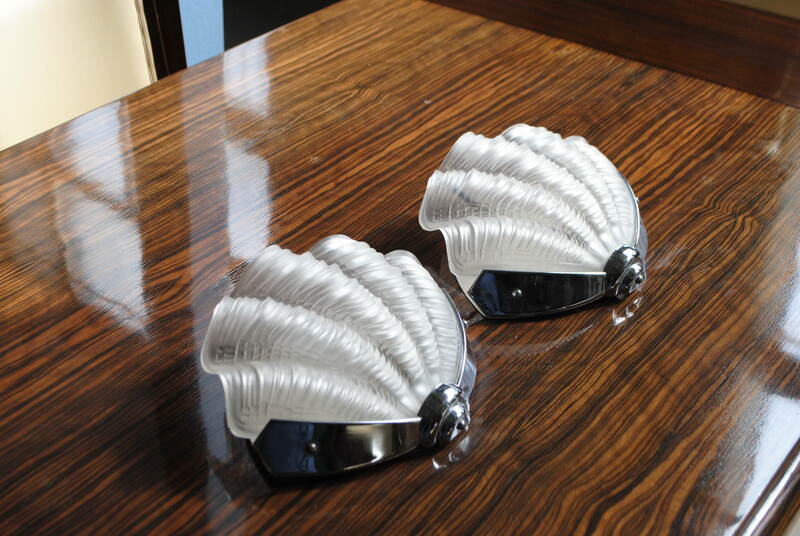 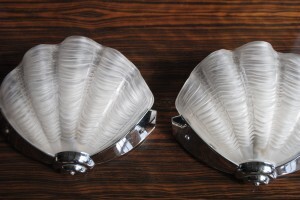 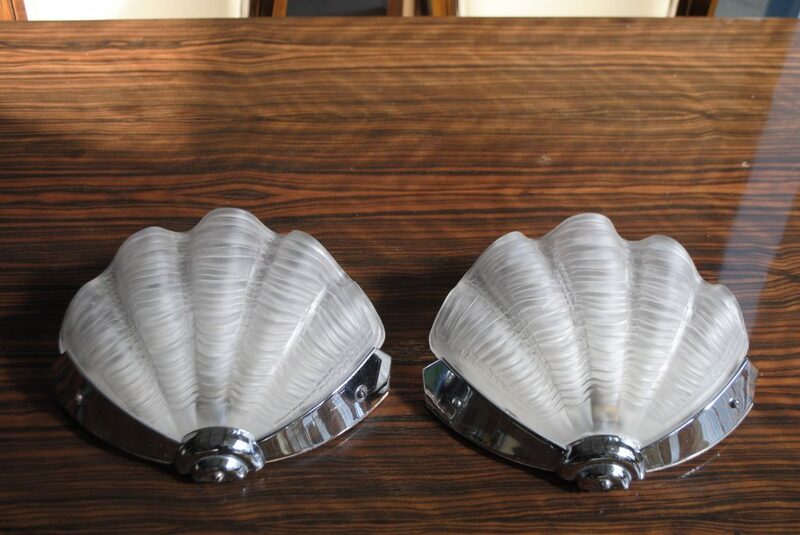 An original pair of art deco wall lights with chrome and fantastic shell glass shades. 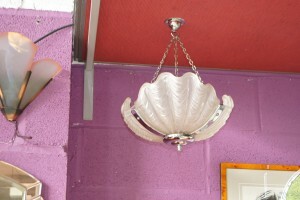 Matching ceiling light in photos also available. For more details please call 01257 473688.